The end-of-year reflections over loved ones lost has gained a new catch phrase: ‘F**k 2016? !’ We lost Prince, Florence Henderson, David Bowie, Justice Antonin Scalia, Muhammad Ali, Alan Thick, Zsa Zsa Gabor, Carrie Fisher, and, just one day later, her mother, Debbie Reynolds. Perhaps the celebrity losses of 2016 hit so deeply because they spanned genres, generations, and politics: southern rapper Shawty Lo to George Michael and conservative heroin Phyllis Schlafly to the first female U.S. Attorney General Janet Reno. Beyond celebrities passing, 2016 was an unbelievable year, and what sticks out for many was the unpredictable, roller-coaster ride of a U.S. presidential election. We saw how ugly politics can be and the ugliness of our souls as partisan vitriol dominated our news feeds and the headlines. But, politics wasn’t the only ugly occurrence in 2016. Chicago experienced its bloodiest year since 1997 with more than 750 people murdered. Terrorists tried to incite panic as they exploded trash cans and dumpsters in New Jersey and New York, and killed forty-nine party goers at the Pulse Nightclub in Orlando. Our allies in Berlin, Nice, and Brussels lost hundreds. Five Dallas police officers were killed in a sniper attack. The deaths of fathers Philando Castille and Alton Sterling rekindled the debate over policing practices. Deadly events weighed down the soul of our nation, but it’s lazy to blame everything on the amorphous 2016. 2016 is a year, not a person. It doesn’t lurk in corners ready to nab babies when their mothers’ backs are turned. As a psychologist noted astutely in The Atlantic, “… when things go awry, we try to see some sort of human agency in the world, that caused things to turn out the way it did.” If it wasn’t humans doing then it must have been a superhuman perpetrator- i.e. God, the universe, or 2016. But really, 2016 did not put prescription drugs in the hands of celebrities who overdosed nor did it trigger heart attacks in the bodies of seemingly healthy people. British comedian John Oliver takes some credit for the 2016-bashing with his segment “F**k You 2016” in which celebrities and people on the street commiserate about bad landlords and deceased icons. There are also plenty of less crude headlines that make the same point. Perhaps this year feels worse than other years because of the increased frequency with which we consume news. But bad stuff happens every year. 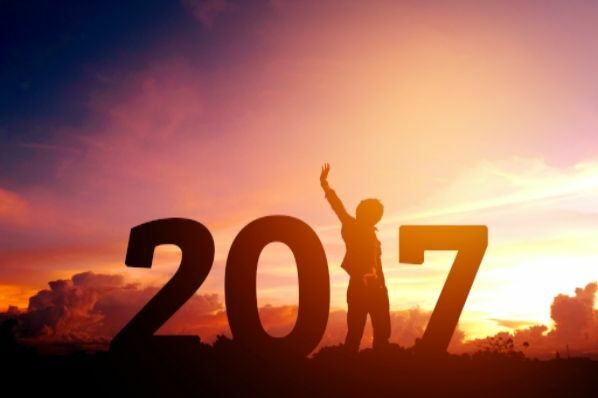 Raising our fists in the air defiantly at 2016 (as though it sees us) is not productive reflection that leads us to better decision-making and changes to how we live, work and get things done. It’s just a way to direct anger at nothing in particular, and sadly, leaves us unchanged and a bit more bitter. We should reflect on 2016 and the lessons it has taught us about individual choice and responsibility. Talent and skill does not cover up for a deficit in character. We saw that it’s better to own up to bad behavior in a Rio gas station than to cover it up. Sexting underage girls is never a good idea, especially if you’re a former politician. Be as angry about leaders of political parties not conducting themselves with integrity as you are about leaked emails. Radicalized terrorists, as well as those who harbor, teach, and inspire them, should be held accountable for their actions. Also, sacrificial decisions don’t go unrewarded. Choosing to adopt a little girl in tough circumstances was not easy, but paid off when she became an Olympian. Let’s not forget the good in 2016. In Rio, the U.S. dominated in just about every field. Mother Teresa achieved sainthood. The U.S. dollar has hit its highest level against the euro in more than a decade. The rate of new entrepreneurs is increasing by double digits largely driven by female entrepreneurs. And nothing is impossible. The Cubs won the World Series after a 108-year-dry spell. The Dow Jones Industrial is poised to hit an all-time high of 20,000. Americans broke their record for charitable giving in 2015 and there’s no reason to think 2016 will be any less. 2017 is a blank slate that we will fill based on our decisions, our ingenuity, and our integrity. God, faith, chance, and nature will do what they do. The question is what will we as individuals do? May the lessons learned in 2016 inform our choices in 2017 to lead to greater freedom, security, and hope for our families and our communities.